Another day and another presentation, one of the duties that Steve Rogers hadn’t really considered when he stepped into that army laboratory all those decades ago. Not that he really minded, it was just that he was never particularly comfortable with the false pomp, despite having lost count of the number of times he had attended one of these things. He mused to himself that while he would rather have been off fighting somewhere he was also supposed to be a symbol of inspiration to the whole nation – even now when there often was no clearly defined enemy as there had been during World War II. It was perhaps even more important that he show up and press the flesh, make people feel comfortable that there were greater powers out there protecting them. So here he was in the Village accepting a gaudy looking gold plated key from the chairman of the local business association on behalf of the Avengers as a token of gratitude for saving the City from some menace or other. Steve smiled and waved for the crowds, the mid afternoon sun glinting sharply off his shield and casting reflected light onto the upturned faces around the makeshift stage upon which he stood. A final wave and then down the steps so sign some autographs and take some pictures with the locals. As he descended a flash of light from somewhere high to his left caught his eye and he turned to see a mushroom of flame and dust blossoming from midway up one of the nearby skyscrapers. 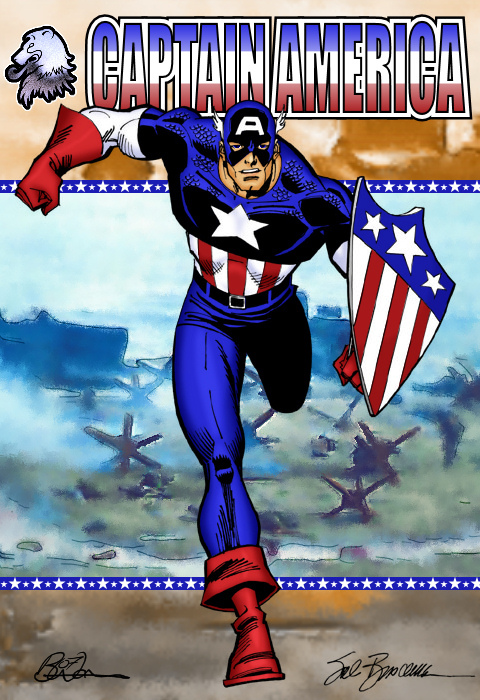 Springing from midway down the steps, Cap rushed through the crowd issuing orders for them to move back towards Bleecker Street and away from the explosion. Smoke and dust was already starting to billow down the street towards the milling crowd. Some people were moving quickly back in the opposite direction but others were standing arms outstretched, the obligatory mobile phones in hand capturing the event for posterity. Leaving crowd control to the police Cap sprinted into the ever thickening dust cloud which was forming between the high buildings, weaving his way through the passers by running in the opposite direction. Sirens sounded in the distance signalling the on duty police had already radioed in what was happening. As he approached the foot of the burning building a deafening crack sounded overhead causing Cap to look upward. A large portion of the side of the building was starting to buckle outward due to the heat and stress. As he surveyed the damage, masonry began falling to the street. 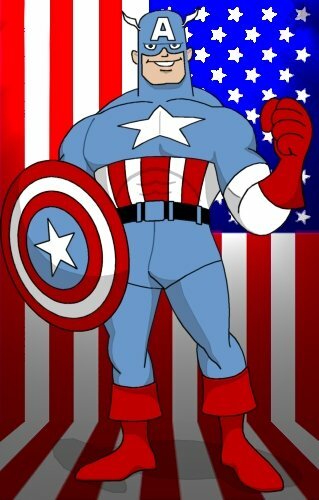 Without really pausing for thought Cap gathered up the stragglers exiting the building and almost pushed them back along the street to safety, using his shield to deflect falling pieces away from the survivors. After ensuring those nearest to the building were clear of danger, the Captain turned just in time to see some of the floors above the flames give up their battle and begin to finally collapse in on to the fire damaged floors below. A wave of worry and anger rose in him, worry that there may still be people in the building and anger at himself for not moving faster. As he watched the flames leaping through the cracked and broken walls of the once tall building he put his anger aside and steadied himself. Sirens blared around him and glancing over his shoulder he saw the flashing lights of the fire engines approaching through the smoke. As the engines halted the firemen exploded out, moving into position like a well oiled machine. Hydrants were tapped and water began blasting the blazing building, preventing the blaze from spreading further into the damaged building or spreading to it’s nearest neighbours. 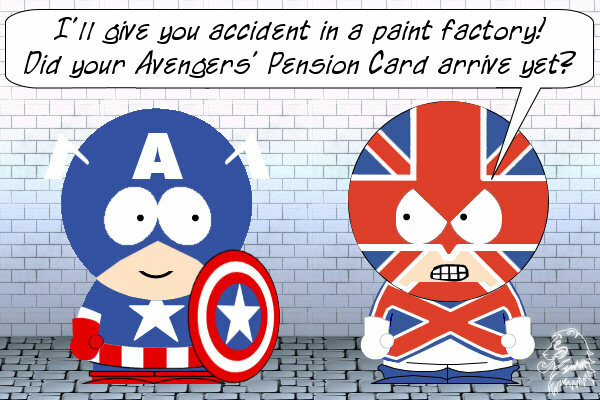 Knowing it would be foolhardy to interfere with the fire suppression, Captain America took charge of ensuring anyone exiting the building made their way safely to the hastily set up triage area back along the street, near where he had stood smiling in the sunshine earlier. As the fire was brought under control rescue crews began pushing up into the building, Cap alongside them as they began the search for survivors. The search continued through the night and into the next morning as the teams slowly worked their way up into the mangled mess that was formerly the middle three or four floors of the building. As they passed into the 17th floor, they entered a larger space where the floor above had caved in leaving a large cavern like gap in the centre of the building. Sunlight filtered in through holes in the outer wall. As they picked their way through the wreckage, one of the firemen heard a faint groan from beneath a pile of rubble. A he rushed over to investigate, Cap surveyed the area. Spotting a large beam which would prevent access to the area he carefully picked it and began lifting it out of the way, muscles straining beneath his shirt. Seeing what he was trying to do other members of the team rushed to help Cap move the beam away. Together the team cleared away the remaining debris, freeing the unfortunate office worker who had been trapped there all night. 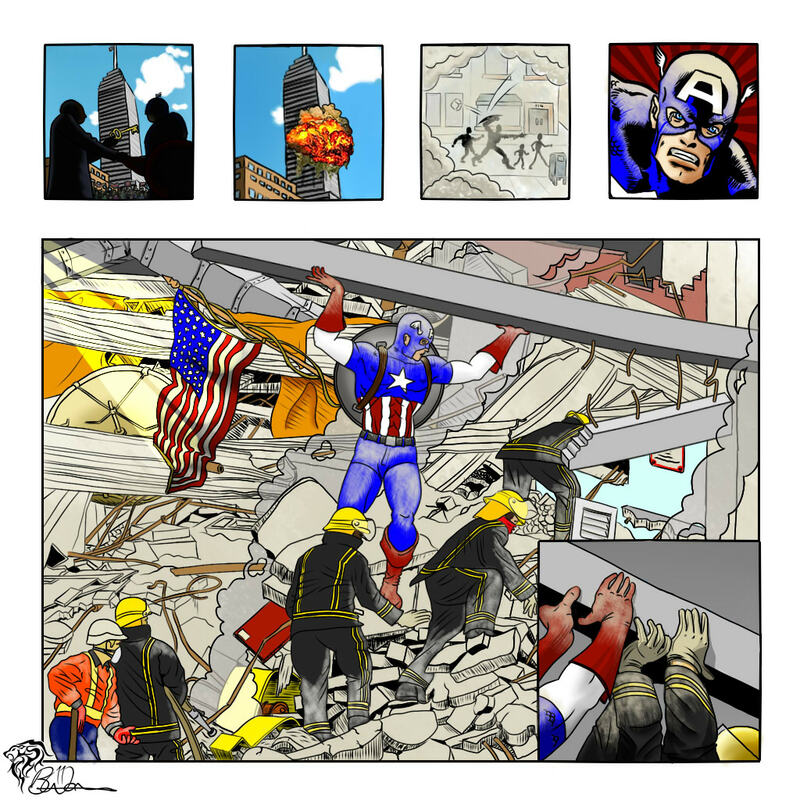 As the paramedics arrived to see to the survivor, Cap and his team moved further into the building, their hopes of finding more survivors raised. 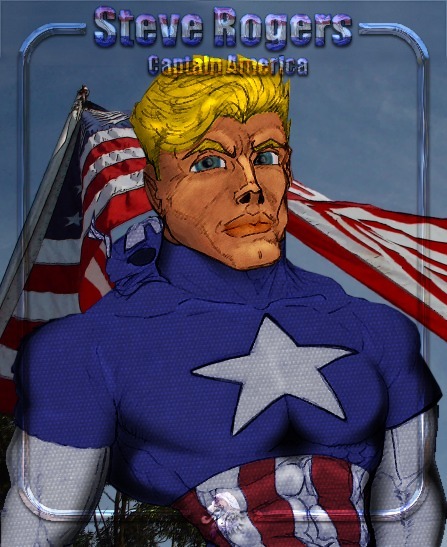 1940s style Captain America by Sal Buscema colored in PSP X2. Background is of Omaha Beach from Saving Private Ryan with some tweaks and filters. Done in the style of a comic cover. Do not go gentle into that good night,Old age should burn and rave at close of day; Rage, rage against the dying of the light. Though wise men at their end know dark is right, Because their words had forked no lightning they Do not go gentle into that good night. Good men, the last wave by, crying how bright Their frail deeds might have danced in a green bay, Rage, rage against the dying of the light. Wild men who caught and sang the sun in flight, And learn, too late, they grieved it on its way, Do not go gentle into that good night. Grave men, near death, who see with blinding sight Blind eyes could blaze like meteors and be gay, Rage, rage against the dying of the light. And you, my father, there on the sad height, Curse, bless, me now with your fierce tears, I pray. Do not go gentle into that good night. Rage, rage against the dying of the light. In memory of the lights that went out on September 11th 2001, New York City. 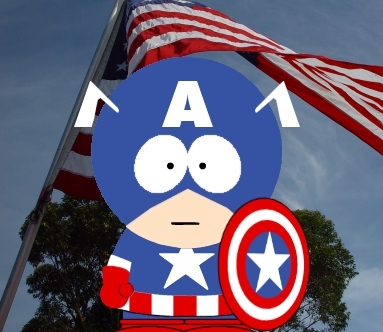 Well I almost forgot all about the 4th July myself, but I managed to pull this out of the bag. A digitally colored and altered Joey Mason pic. Step 1: Darkened the inking by use of multiply layers. Removed the excess white space around the outside. The shield originally had 4 circles(i dunno why) so i corrected this by erasing the two innermost circles, and replacing them with a larger central disc and a thinner circle. Step 2: Using the lassoo tool so block of areas I filled them with blocks of colors. The disk colors were created initially with vector shapes and adjusted to fit. This layer was then merged into the main color layer. Step 3: Used the lassoo tool again to select areas of the main color block. these were darken using the HSL dialog. Step 4. In order to give a bit more depth to the colors and to the scales, added gaussian noise to the color layer. Cut out the scales from the main inking layer (this was on top set to multiply) and Negative’d the colors. Offset this selection slightly from the black ink and applied a small gaussian blur and set the layer mode to dodge. duplicated this layer again, applied a higher level of noise, colored blue, and set to hue at 25 % opacity. Step 5: Selected a suitably patriotic background (in this case a sunset shot of Statue of Liberty). (A) Flipped the pic left to right. Applied an edge preserving smooth of about 15. (B)Duplicated the layer and colorized it blue. (C)grouped these layers together and added a gradient filled mask to the blue layer to give an effect of sun rising. (D)selected the layer group an using the inking outline as a guide, created a mask to allow the colored Cap to show through. 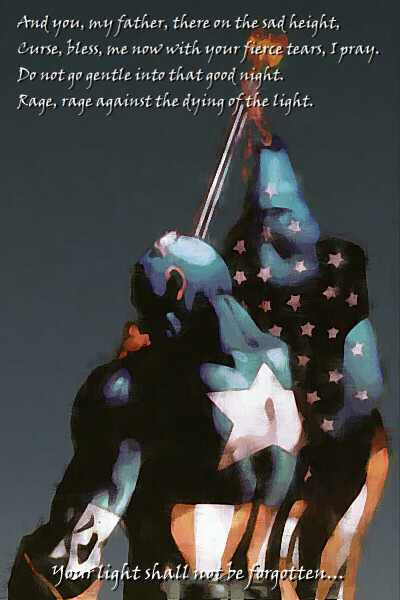 Step 6: The flag was created on a seperate canvas from an image I create for a previous Cap pic. Added a black border to make it fit into the inking style more. Applied a wave distortion with horizontal amplitude of 1 and wavelength of 100, vertical amp of 4 and wavelength of 40. created 2 gaussian blurred black filled rectangles on a new layer, set to darken at about 30% opacity. The same done with white rectangles on a lighten layer. Used the distorted flag to create a mask to hide the lighten and darken overspills. all merged into one layer. 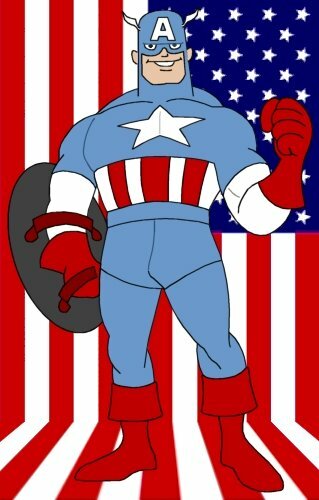 used free deform tool to distort the flag further into a more realistic form. The pole is a gradient filled rectangle and the ropes were done freehand. transferred to the main canvas and positioned. 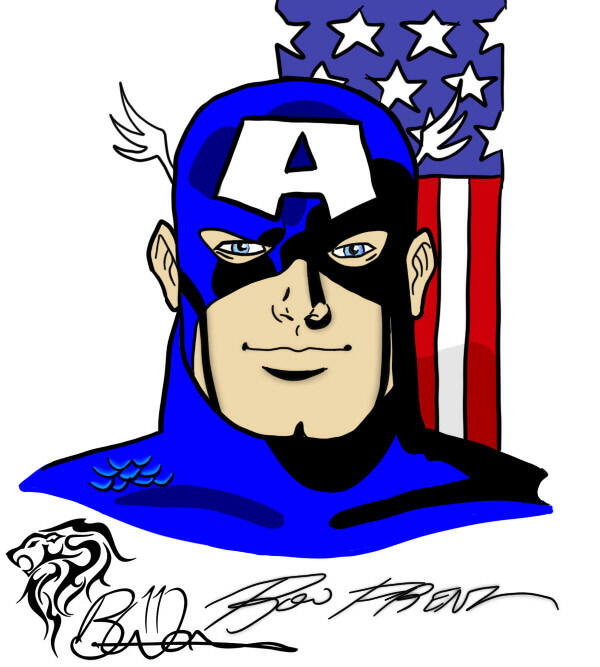 Used the main ink layer to again mask off the flag behind Cap. Step 7: Logo added in Bremen Bold on two layers, one with a preset chrome fill, and another with a custom Red White Blue fill. 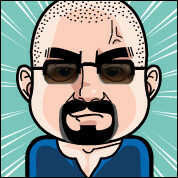 messed about with the layer blend modes to get a nice effect (chrome layer is on multiply at about 75% opacity). These were then merged and a pincushion lens distortion applied. Added a drop shadow. Finally brought up the signatures to a new layer and reversed the color. Anyways Happy 4th of July Weekend to All. Another Kodiak sketch, this time of old wingnut sans mask. Coloured and textured by my good self. Another digitally coloured Tom Derenick sketch. I particularly like how this one turned out. Some of it was very fiddly, but using the lasso tool to help me restrict where i was coloring helped. I am actually enjoying this colorist lark.. whether i have found my new calling in life is another matter. The Cap logo is done from scratch, and you may recognise the Wolverine logo from my earlier Hulk Vs Wolvie pics. 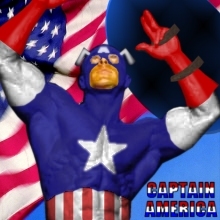 The image is made from a poseable Hulk statue and a Ult Cap America bust (both Bowen i think..). 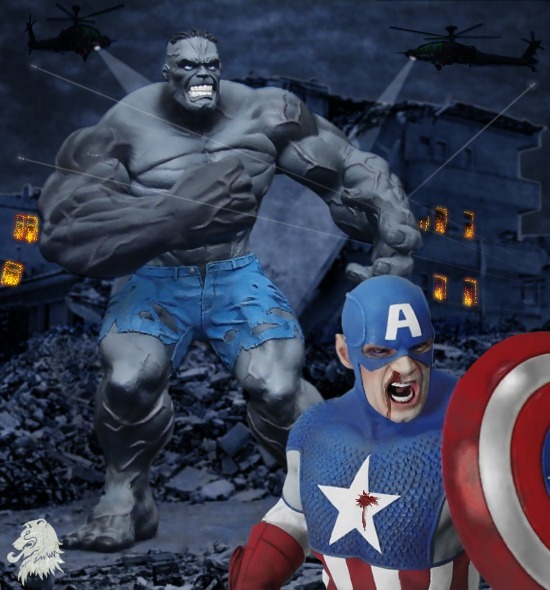 The hulk statue was posed against its box so the first thing i had to do was remove the box by cloning other parts of the grey dappled background. 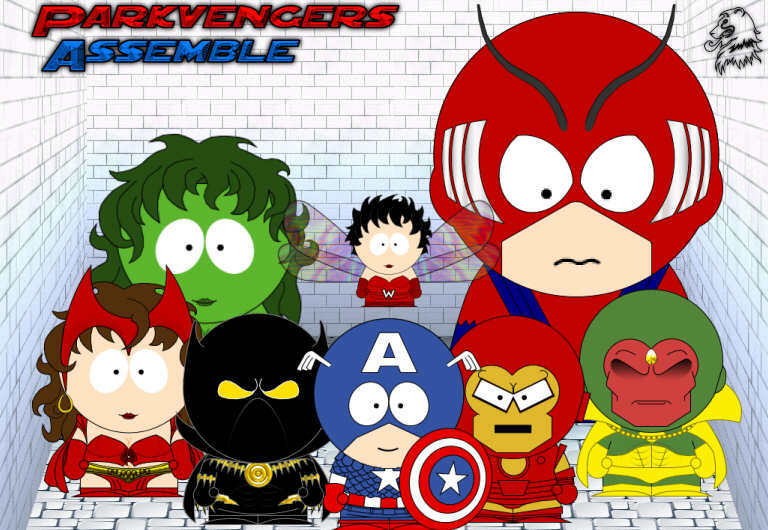 Using the smudge tool i then removed the joint lines on hulks legs arms ankles and neck. 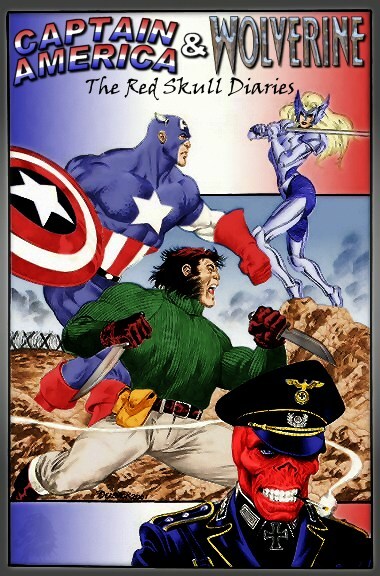 The Cap bust was simpler, as it was to be in the foreground, i just removed all trace of the original background. I found an earthquake damaged street scene on Google and cut it up into chunks for the mid ground between hulk and cap and the background behind them. These parts were all tinged with a blue wash and darkened to keep the tone matching. Fire and glow added to the windows. The sky was from the net, recoloured and flipped. The Apache helicopters were also from Google, deformed to fit the pic. Added lights manually. The search lights were a gradient filled triangle, softened and set on a screen layer. The flames in the building windows were made by using the pen to draw in red, then two oranges, then a yellow, with the same colours used around the window frames. This layer was then duplicated set to screen and gaussian blurred with a radius of about 3 to get the glow. The three tracer bullets were done in a similar fashion, with the path being gradient filled vector lines. Altogether this pic is made of about 30 layers. 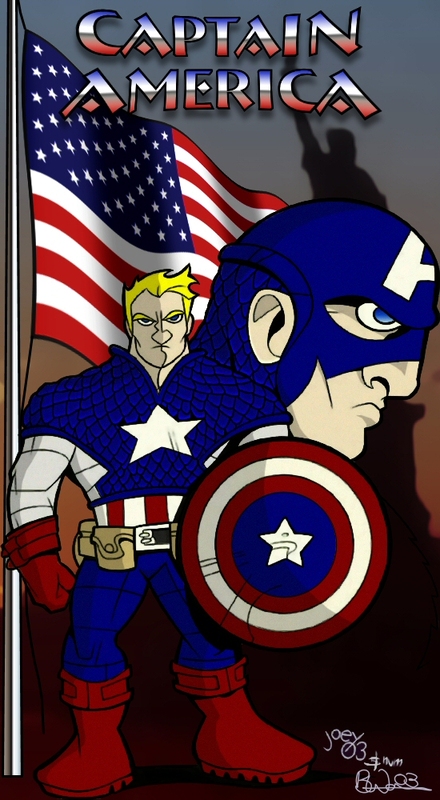 I was looking through some old files and came across a sketch for an animated style Cap. I can’t remember where the original idea came from so I’m afraid i can’t credit the original. I decided to do some simple coloring in Paintshop. I think it turned out quite nicely. I might even try my hand at a bit of shading on it. Well this theme day came around sooner than i expected, and due to an excessive intrusion by work, I have to submit this before i’m totally happy with it. 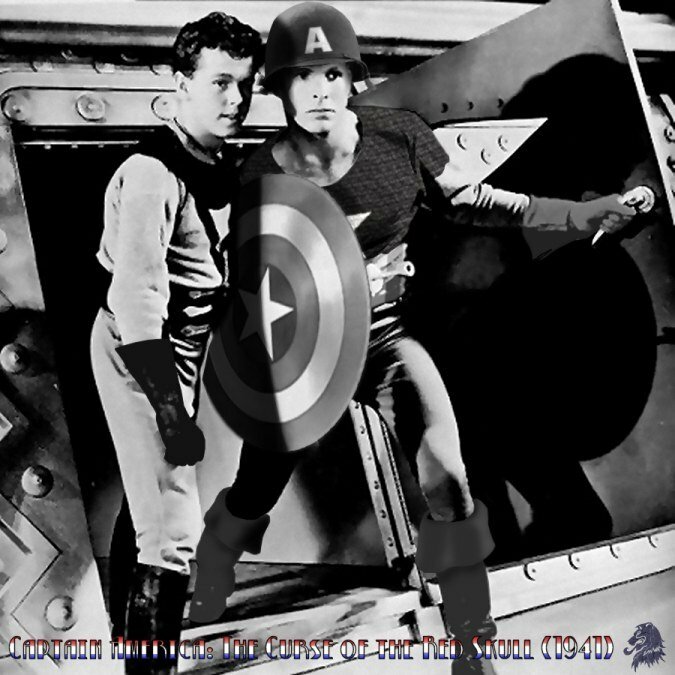 Manipped from a pic of Buster Crabb as Flash Gordon into what a 40s version of Cap and Bucky might look like. I was looking for a quick something to do to take my mind off of work, so I did another in my not so regular South Park style series.. old Wingnut. Just a quick mod of a body builder into old featherhead.. i originally thought the pose would be great for the human torch, but decided it was too muscled.